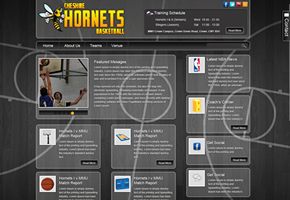 Fresh for the 2012/2013 season, the new look Cheshire Hornets site is now redesigned with the latest social media integration. 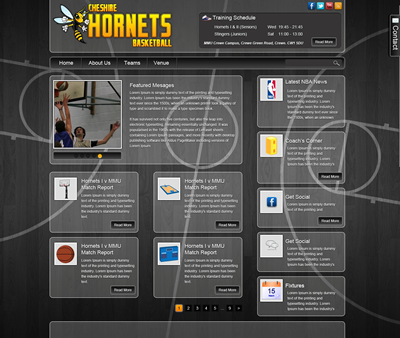 The site allows users to “tweet” via Twitter, which posts to Facebook and the main web site LIVE. Pages, articles and more can be shared and “liked” via Facebook, Google+, Twitter and even emailed to a friend. The site also includes a league control system, which keeps track of all fixtures, tip-times, venues and competitions across two divisions in the league. Pretty nifty, hey? Finally, live content is streamed from NBA.com and other external sites, ensuring that there’s always fresh information on the site every day.